I can't keep a secret-at least not when it comes to new products! Happy Tuesday everyone! I hope you had a wonderful weekend! ​Campaign 15 is here filled with great promotions on all your favorite items including the donation of the lipsticks to Dress for Success. And you cannot pass up this amazing 'try it' price of our Vitamin C serum. 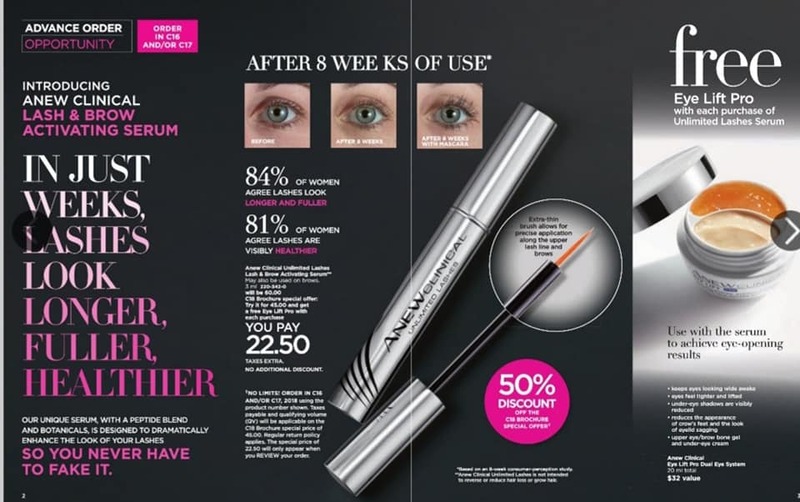 And there's more....now your lashes will get their own dedicated line for some TLC with the new ANEW and brow serum. False lashes look amazing, but I'm afraid to do them. So, if my lashes can look like this in 8 weeks-sign me up!!!! But friends, you'll have to wait a few campaigns for these. I couldn't contain my excitement when I saw what was coming!! As always, feel free to share this email with anyone you know who hasn't seen a brochure in a while. Should you have any questions feel free to text, call or email. If you want to reach out to me, or you have questions about becoming a rep for yourself, feel free to click on the button below. Happy Father's Day!!! It's a beautiful Sunday evening in Toronto and my kids are enjoying the time outside with their water toys. And my husband is in his element-which is at the grill with tonight's dinner....Gotta love Summer! Welcome to the first blog on this website! I am so excited and delighted to share all the great things that are happening here with you. Usually, I send an bi-weekly email to my current customers, and then the thought dawned on me one day- why not share the same content as a blog!! So three cheers for our first post together! Campaign 14 is here, and this is a very special campaign to introduce on our first blog. In this campaign, we have partnered with Dress for Success, not-for-profit organization that empowers women to achieve economic independence by providing a network of support, professional attire and the development tools to help women thrive in work and in life. When buy any 2 lipsticks, AVON will donate one to the women in this organization. As we speak, 5,407 lipsticks have already been donated to the cause! This campaign ends on JUNE 27th, 2018, so make sure to reserve your favorite colours. 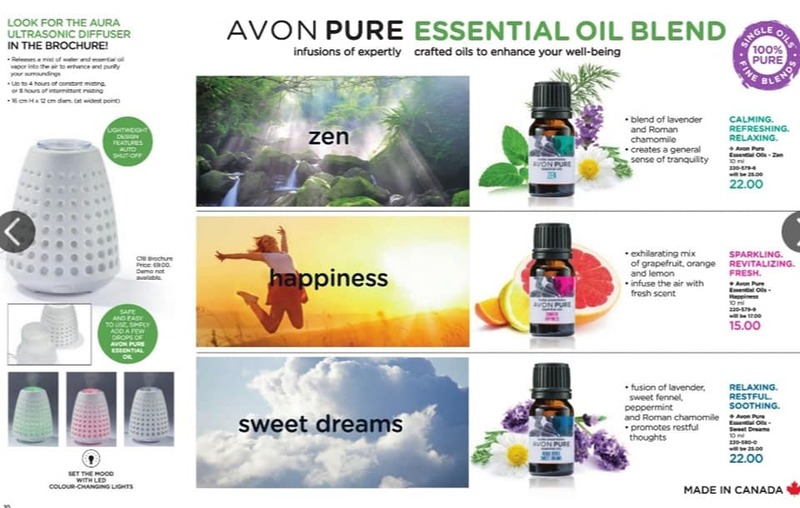 And don't be shy about sharing this blog or link with anyone you know who loves AVON and hasn't seen a brochure in a while. P.S. Do you have an entrepreneurial spirit? Do you love learning, helping others, setting and achieving goals? Then let's chat to see if the AVON Opportunity is right for you. CLICK HERE and I'll be in touch.